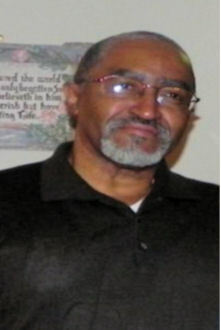 Obituary for Wilbert Wesley "Hen" Washington | King-Tears Mortuary, Inc.
Wilbert, lovingly and affectionately known as Hen to family and close friends, was baptized at an early age at the Mt. Sinai Missionary Baptist Church. He departed his earthly house to enter his eternal resting home on Thursday, January 24th at the age of 68. He passed away peacefully at home with his loving family after a brief illness. Hen, born on December 5, 1950 in Austin, Texas, was the second of eight children born to Woodrow Wilson Washington, Sr. and Tom Ella Wilkins Washington. He was preceded in death by his parents, grandparents and brother, Charles "Charlie" Washington. Hen received his formal education in Austin ISD and graduated from Austin High in 1969. After graduation he attended St. Phillips College in San Antonio, Prairie View University and Huston-Tillotson College where he earned a BS degree in History. He was employed at the Austin State Hospital where he worked as a supervisor until his retirement in mid-2000. Hen was a kind, soft spoken, non-nonsense man like his Father who loved his family, especially his great nieces and nephews. He enjoyed hanging out several days a week on "Clifford" at the family compound. His signature food dish for family gatherings were Jambalaya and banana pudding. Hen loved working out at the gym and spending time walking at the lake. He enjoyed reading novels, the Sci-Fi and History channels, all types of music but especially traditional gospel music sung by choirs such as Mississippi Mass and Chicago Mass. We will miss our dear brother, uncle, cousin and friend. His precious memories will be cherished by his siblings, brother Woodrow Jr. "Chubby" (Marlene); 5 sisters, Lucille "Sis" Allen, Blanche "Choochie" Smith, Barbara "Bobbie" Williams, Rosalind Townsend and Glenda; 15 nieces and nephews; 19 great nieces and nephews, and a host of other relatives and friends,.